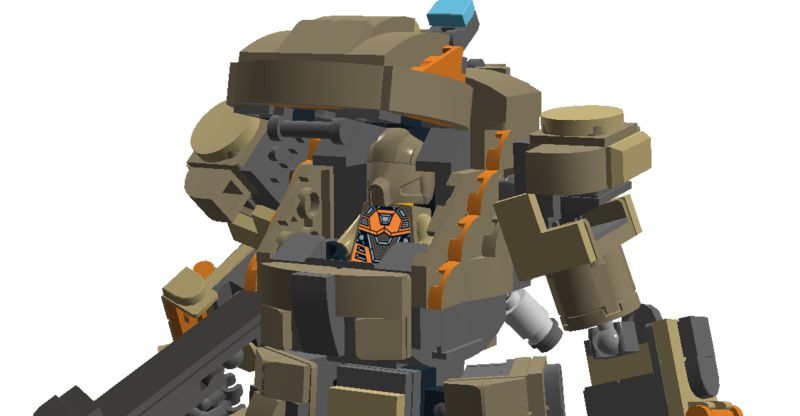 Ogre is one of the playable mechs in the game Titanfall. If you like what I do and you want to see me create your OC, a favorite Bionicle Character, or something else, feel free to look up my Commission Info! I also now have a Patreon page, so please consider supporting! Quoting Silverwing 05 Wow, your mechs are great! I'm not entirely sure how I feel about holdable weapons for mech, but since this is a replica from a game, I'm not really one to judge. The color scheme really looks great, too. Love how you pulled off the orange highlights without overdoing it. Wonderful stuff! I like to include as much interactivity as possible into my models, if possible. I have no idea how in reality the gun would hold, but it's fun to build and pose separately from the main model. Thank you! Wow, your mechs are great! I'm not entirely sure how I feel about holdable weapons for mech, but since this is a replica from a game, I'm not really one to judge. The color scheme really looks great, too. Love how you pulled off the orange highlights without overdoing it. Wonderful stuff! Quoting Guy Pearson Man, your mechs are great! You should check out mecabricks.com rendering, or I could render your creations if you want. Awesome job, can't wait to see more of your work! Thank you, I render them myself and quite satisfied with the result. 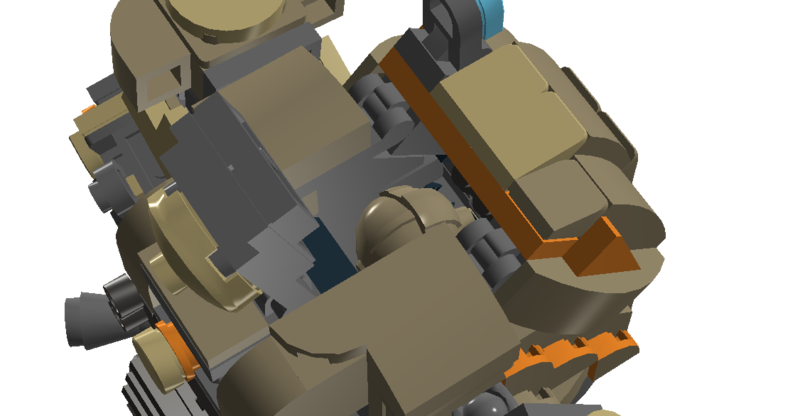 And I am aware of Mecabricks, but I just don't like it's user interface, it gives me nothing but frustration. You'll see more of my MOCs soon enough: I have a lot of stuff to post. I mostly post in other places, like Flickr, but decided to add MOCpages to the list of platforms I publish on. Man, your mechs are great! You should check out mecabricks.com rendering, or I could render your creations if you want. Awesome job, can't wait to see more of your work! Quoting i am ihello Great model. really curious about the structure. However i got a much bigger question! how do you do a revolving gif? any tutorials for that or an option on studio? Thanks! The rotating GIF is made using <a href="https://www.eurobricks.com/forum/index.php?/forums/topic/109972-software-bluerender-a-rendering-engine-for-ldd/">Bluerender</a>;. It allows you to create renders of your LDD model that serve as frames for the rotation. I then used Adobe Photoshop to sew those frames together. Great model. really curious about the structure. However i got a much bigger question! how do you do a revolving gif? any tutorials for that or an option on studio?